Pinterest is a great archive of ideas. Just like the library is an archive of information. We can go to either to be inspired, be entertained, or kill time. It is not the walls of the library that give us inspiration, it is the content on the shelves. And it is not Pinterest that gives us great ideas, it is the blogs and websites that have content curated there. Before assuming that an idea originated on Pinterest, consider first that the idea is original. The source is out there. I LOVE LOVE LOVE Pinterst, but do you know what drives me nuts?? 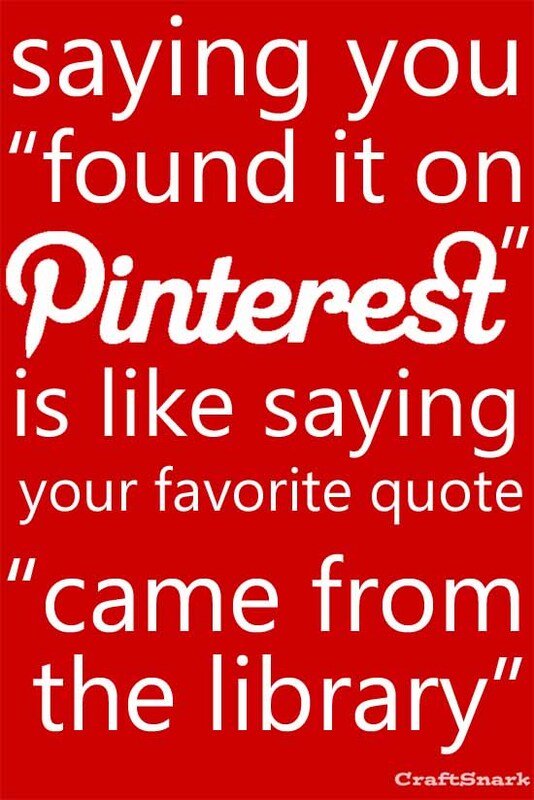 it's when a pin's description starts with "Pinner says...." and then goes on to describe pin. WHY WHY do they have to say they are quoting another "Pinner"?? THEY are a/the "Pinner" for $!#$'s sake, it is so so so so so redundant!